Carlex has transformed the Mustang into a premium sports car. 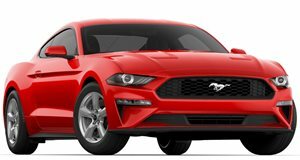 The Ford Mustang is one of the most affordable sports cars on the market, but you can see where compromises have been made to keep the asking price low - namely, the second-rate interior. While it’s nowhere near as bad as previous generation Mustangs, reviewers have criticized the abundance of cheap plastic surfaces. Polish cabin customizer Carlex Design has given the Mustang GT Convertible’s interior a much-needed makeover with obsessive attention to detail. Glance at the photos, and you'd be forgiven for thinking you were looking at the luxurious cabin from a Mercedes Cabriolet. Starting with the seats, Carlex has applied an appealing combination of perforated leather and Alcantara with a cream finish. Both the front and rear seats have honeycomb quilting with black logos matching the exterior. The plush Mustang has received the leather treatment just about everywhere else, including the steering wheel, door panels, and sections of the dashboard, giving the muscle car a more premium look. The floor mats also come with color coordinated piping. Mercifully, the plastic materials have been covered with excessive amounts of carbon fiber applied to the dashboard, the area around the door handles, and the armrest. Complementing the changes are chrome accents around the air vents and door handles. We think you’ll agree Carlex has done a commendable job at making the Mustang’s interior even more desirable – though we suspect the extensive customization job cost more than the value of the car.